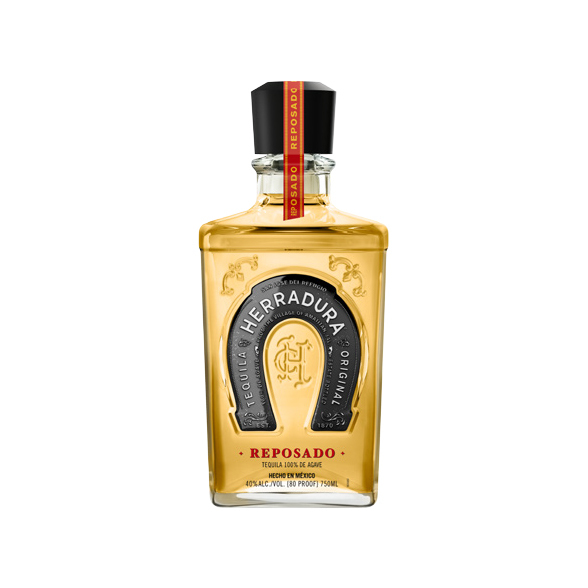 Tequila Herradura is an ultra premium, 100% agave tequila, crafted using only the most mature blue agave, traditional production methods and fermented naturally with wild yeast. Produced by Casa Herradura, one of Mexico’s most historic and renowned tequila producers, on the premises of a 19th century Hacienda in Amatitán, Jalisco. Herradura Reposado ages in the barrels for eleven months, far longer than the two months which is required by law for this category. This gives the tequila its deep copper color. The Reposado category was created by Tequila Herradura in 1974. Herradura Silver is matured in American White Oak barrels produced in our own cooperage. Aged for a total of 45 days creating a smooth taste with a light straw color. Since 1870, Herradura Silver has maintained its reputation as one of finest tequilas in the world. Exclusively hand crafted and estate bottled at Casa Herradura, Selección Suprema de Herradura is the finest expression of tequila available in the world today. This 100% pure agave, extra añejo tequila is crafted using estate grown agave and time-honored traditional production methods. Its extended aging of 49 months in imported oak barrels creates a tequila that is exceptionally smooth and mellow. Colleccion de la Casa is the best example in the industry of how each source of flavor – agave, water, fermentation, distillation, and maturation – impacts the character of the final product and creates a totally new flavor profile. With the perfect blend of our premium Añejo and Extra Añejo barrels, ULTRA is a crystal-clear tequila. A subtle hint of agave nectar offers a superior taste that will transport tequila connoisseurs beyond smoothness. Antiguo is a premium, 100% agave tequila crafted by Casa Herradura, one of Mexico’s most historic and renowned tequila producers, on the premises of a 19th century Hacienda in Amatitán, Jalisco.